The US embassy has expressed concern over a new bill to amend the law on higher education to clarify and tighten rules governing foreign higher education institutions operating in Hungary. 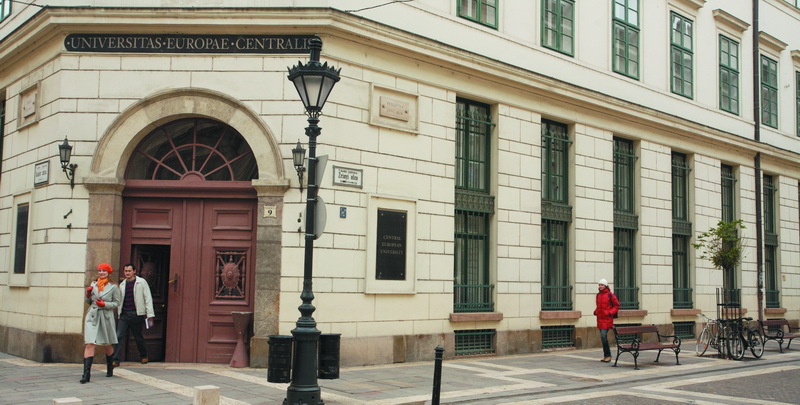 The embassy says the proposal would “seriously restrict” the operation of the Central European University (CEU), but the government sees no reason to change its mind. 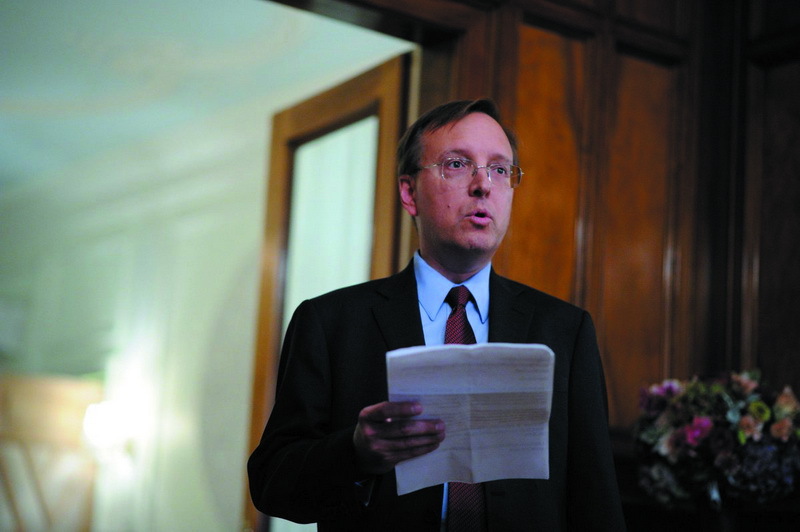 David Kostelancik, the chargé d’affaires at the embassy, told state news agency MTI that the US is opposed to any measure that would endanger the university’s operation or independence. He called CEU a “first-class higher-education institution” enjoying an “excellent reputation” in Hungary and around the world. The university is an “important centre of educational freedom” in the region, Kostelancik added. CEU has taught and employed thousands of Hungarians, he said. The university, founded and financed by American billionaire George Soros, had been a “success story” of US-Hungarian relations and had strong bipartisan support in the US. President and rector of CEU Michael Ignatieff told a press conference that CEU would not close down “under any circumstances”, and intends to continue its academic programmes. 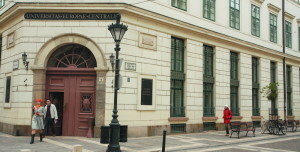 The university considers Budapest its home and intends to stay here, Ignatieff added. He said CEU considers the amendment proposal discriminative and an attack against the university. CEU also believed it would be harmful to educational freedom across Europe and damaging to US-Hungarian relations. Ignatieff said the government should withdraw the bill and find an alternative solution. CEU was prepared to hold talks with the government, he said. However, the submission of the higher education bill had broken the trust between the university and the government. The Ministry of Human Resources said there is no reason for the government to withdraw its draft amendment aimed at changing rules governing foreign universities and colleges in Hungary. The ministry was commenting after talks between Laszlo Palkovics, the state secretary in charge of education, and Ignatieff. At the talks, Palkovics said the government was open to talks with the US to regulate the operations of CEU and three other US institutions in Hungary, and they would have a full year ahead before the new regulations could take effect. He insisted that it was crucial the other countries involved should take a role in running “universities of an international status”, and said the authorities of “countries of origin” fail to monitor the operations of those universities in Hungary, which may lead to irregularities. Hungary’s authorities have no power over their tuition, while their foreign counterparts are negligent, Palkovics argued. He asserted that the bill did not pose a risk to CEU and no other foreign university had complained about it. All higher education institutions must comply with Hungarian laws, the state secretary said. The ministry said the measures were needed after a government probe found violations and shortfalls at the “majority” of foreign colleges and universities that offer instruction in Hungary. In the future, the law would allow universities outside of the European Union to operate in Hungary only on the basis of an international agreement. Opposition parties slammed the government for what they say is a threat to close down CEU. The Socialists said the university is a national treasure, and the government’s “threat” to close it down is tantamount to “treason”. The party said the Orbán government “is always looking for new enemies” to distract attention from its “sins”, and after its attacks against NGOs and Brussels it was now launching an attack against CEU. The leftist Democratic Coalition (DK) said the bill was “unacceptable”. Agnes Vadai, the party’s deputy leader, said it targeted CEU. The bill is an “underhand, ideologically based” attack on the highest-ranking university in Hungary, Vadai said. Instead of attempting to close it, “any normal government” would strive to open up such an institution to benefit as many people as possible, she added. The Együtt party said the government’s “xenophobic campaign which paints George Soros as the devil” was an attempt to discredit CEU. Együtt MP Szabolcs Szabó called on the government to “take its hands off Hungarian higher education and respect its autonomy”. The LMP party said pushing CEU out of Hungary would be “a shameful milestone in the history of [Hungarian] education and culture”. The proposed amendments to the higher-education law could severely damage the country’s institutions.